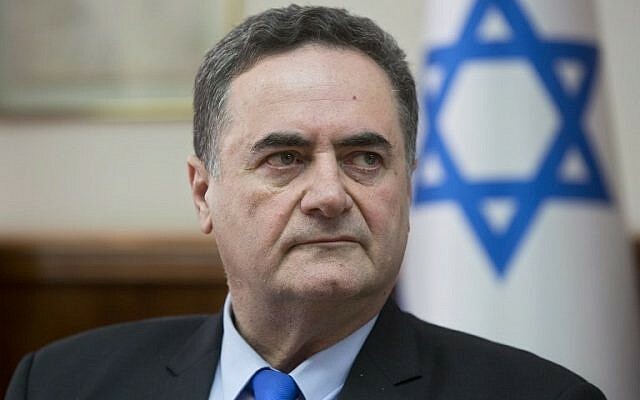 Acting Foreign Minister Israel Katz on Thursday appeared to confirm that Israeli warplanes struck Iranian military targets outside the northern Syrian city of Aleppo overnight. In an interview with Israel Radio, Katz said that “as far as Iran knows, it’s Israel” that carried out the strike targeting a weapons depot, and went on to say that it was a “challenging” operation to perform. Katz, who is a member of the high-level security cabinet, was responding to a question on Israel’s policy in Gaza. He gave the strike in Syria as an example of an operation that was “more challenging militarily” than the challenges Israel faces in Gaza, and wondered why Israel was avoiding using its full force in the Palestinian enclave. “There were other operations like this one that we have taken responsibility for,” he said. “This operation was far more challenging militarily, and much more powerful” than those Israel carries out in Gaza. Prime Minister Benjamin Netanyahu acknowledged that IDF forces were striking Iranian military targets in Syria on a “continuous” basis. 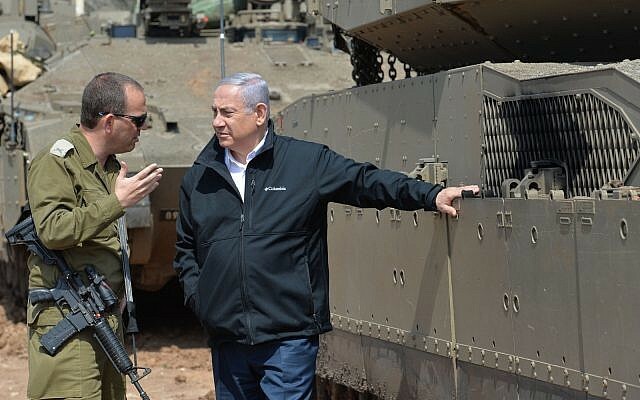 Speaking to reporters during a visit to the Gaza border region, Netanyahu said that Iran was “constantly trying to import very advanced and lethal long-range missiles into Syria. “We are not prepared to accept this, and our activity is against Iranian entrenchment and advanced weapons transports in Syria, so our operations are continuous,” he said. Immigration Minister Yoav Galant, also a security cabinet member, downplayed Israeli involvement in a Thursday interview with Kan, but underscored that Israel would not allow Iran to operate militarily in Syria. “We are not taking responsibility for anything,” he said. “But we cannot allow the Iranians to prepare themselves for a different situation several years from now, and that is the basis for our operations. 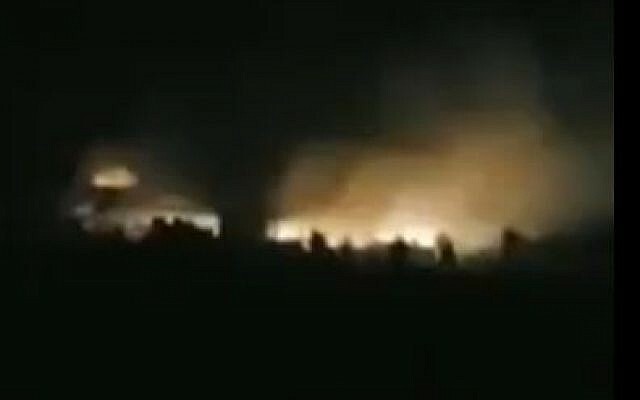 Syrian state media late Wednesday said its air defenses responded to “Israeli air aggression” targeting positions in the northern Aleppo province. It added that at least seven people, believed to be either Iranian troops or Syrian fighters loyal to Tehran, were killed in the raid. The Observatory said the number of casualties was expected to rise in the coming days. A number of residents of Aleppo told AFP that the late-night attack led to a power cut in the whole city. The night strikes come at a time of heightened tension between Israel and Syria, following Monday’s decision by the US administration to recognize Israeli sovereignty over the Golan Heights, a mountainous plateau captured from Syria in 1967. The decision sparked condemnation and protests in Syria. Israel maintains that Iran is seeking to establish a military presence in Syria that could threaten Israeli security and attempting to transfer advanced weaponry to the Hezbollah terror group in Lebanon. Last year, Israel was twice accused of targeting the Al-Nayrab airbase, adjacent to Aleppo’s international airport in airstrikes. Al-Nayrab has in the past been linked with Iran’s Islamic Revolutionary Guards Corps militia. The number of airstrikes in Syria attributed to Israel has dropped in recent months, after a Russian military plane was downed by Syrian air defenses during an Israeli attack on Latakia in September, killing all 15 servicemen aboard. Russia blamed the Israeli military for that incident — a charge rejected by Jerusalem — and responded by supplying Syria with the advanced S-300 air defense system.